tandlr is a peer-to-peer tutoring service that connects students who have excelled academically with students who struggle with classes. They approached us as they were undergoing a re-branding of their product and moving from desktop to mobile. 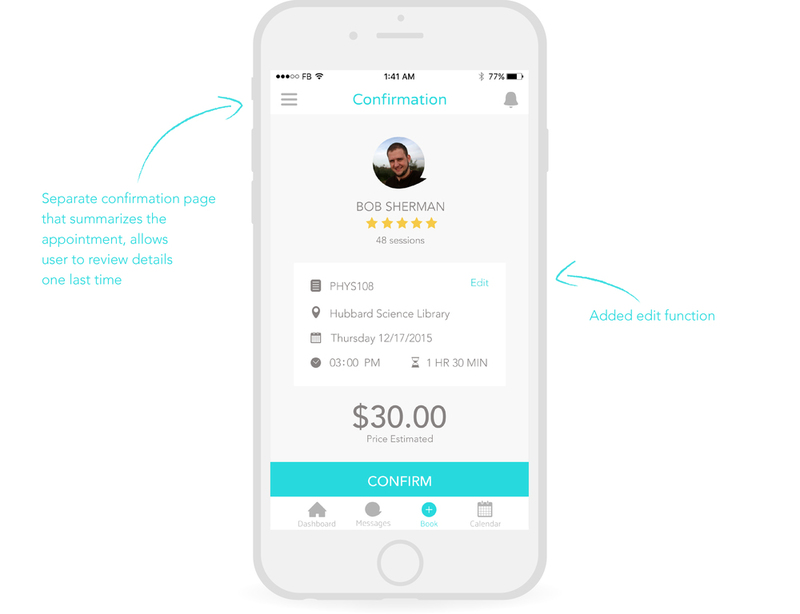 With our client's brand guideline and wireframes as a starting point, we began our design process with competitive analysis covering in-category and out-of-category competitors with similar functions in booking, scheduling, payment, and messaging. From the analysis, I compiled our research to present three possible style trajectories. how do we stay close to the existing brand while exploring new visual identities? how will we place tandlr into their competitive landscape? Following client feedback on my style exploration, I consolidated elements from the bold, modern style and the bright, youthful style to create an updated look for tandlr. To distinguish between the student and tutor portals, I used orange to create a warm color scheme for the tutor portal and teal to create a cooler color scheme for the student portal, with custom iconography for both. 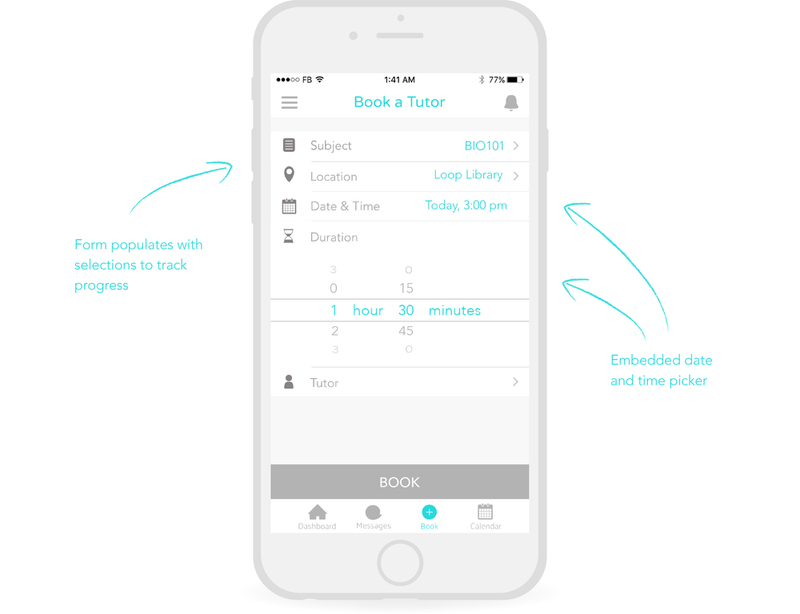 The original wireframes we received depicted the tutor booking process with a series of pop up modal overlays, a common web pattern that diminished the mobile user experience. In addition to high fidelity screens, I also delivered a clickable prototype created with InVision. For best performance, please follow this link. Finally, I provided two separate style guides for the student and tutor portals.